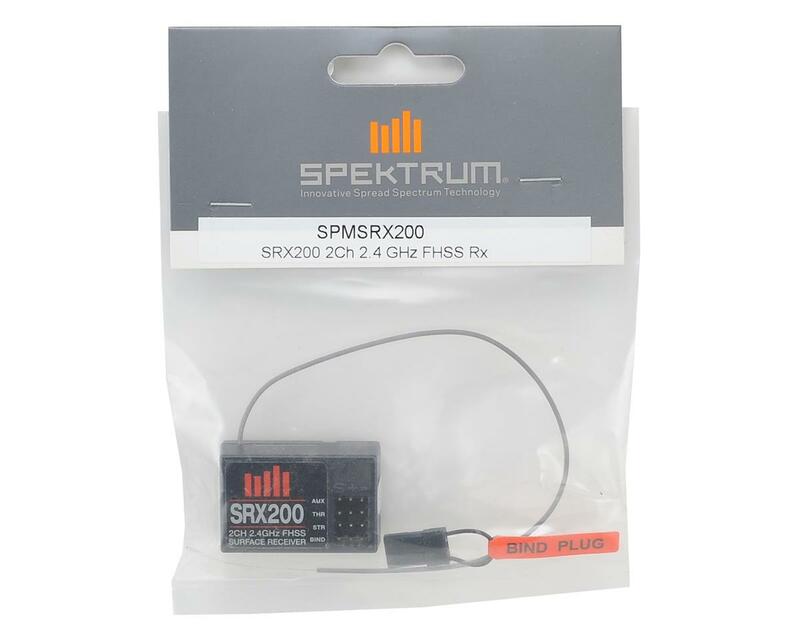 This is a replacement Spektrum SRX200 2-Channel 2.4GHz FHSS Receiver. This receiver comes included with the Spektrum STX2 Transmitter System (SPMSTX200). The SRX200 Receiver has a special water-resistant coating on the electronics to ensure reliable performance in higher than average moisture conditions. This conformal coating can offer mild protection from light drops of water. DO NOT submerge this product under water for any period of time. If it is submerged, it may result in damage or loss of function. DO NOT pour water onto or allow excess water to come in direct contact with the product. DO NOT operate this product in heavy rain or snow. DO NOT expose this product to salt water (ocean water or water on salt-covered roads), contaminated or polluted water. In case of excess exposure to water or debris, immediately wipe down the SRX200 with a soft cloth, and allow it to fully dry before next use. 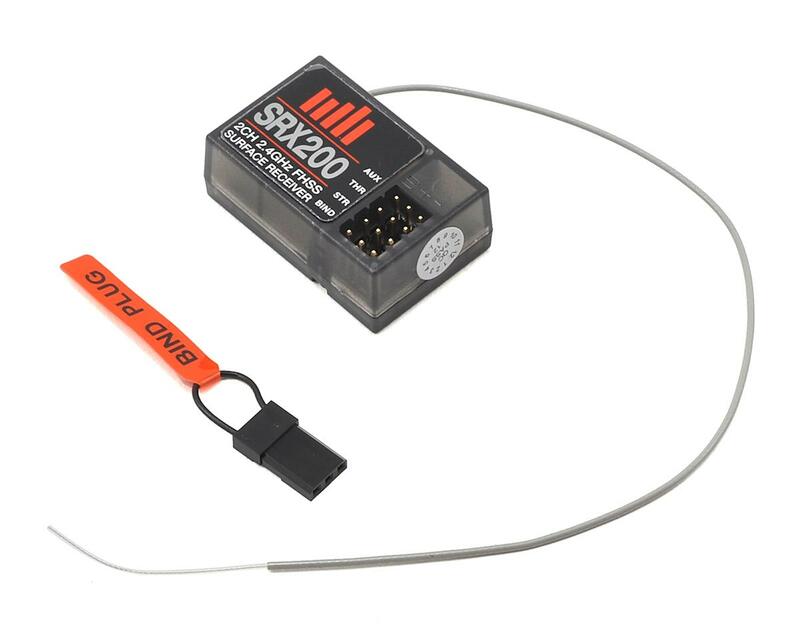 NOTE: The STX2 transmitter and SRX200 receiver utilize the FHSS 2.4GHz protocol and are NOT compatible with Spektrum DSM, DSM2 or DSMR transmitter or receivers.